The essence of Algonquin is in its vast interior of maple hills, rocky ridges, and thousands of lakes. The only way to explore the interior of this park is by canoe or on foot. There is also a second Algonquin - along the 56 kilometre stretch of Highway 60. 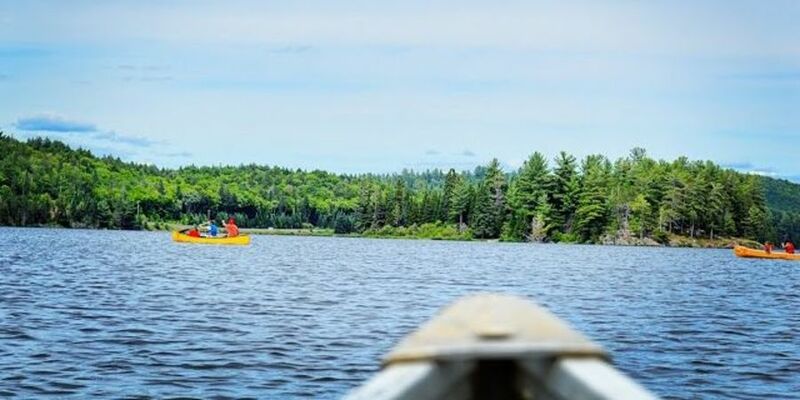 Here you can enjoy camping at one of eight campgrounds, hike one of 14 trails, take part in extensive Natural Heritage Education programs, and visit Algonquin’s exceptional Visitor Centre, Logging Museum and Art Centre.